Dr. Bai Guangdong is a faculty member in Singapore Institute of Technology (SIT). He received his PhD degree from National University of Singapore in 2015. His research interest spans across the broad areas of mobile security, web security, and protocol verification. 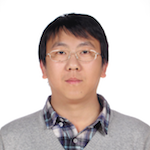 During his previous research, he has worked on analyzing authentication protocol implementation, online payment, and Android security. His research has helped identify and fix serious security vulnerabilities for major websites like Sina Weibo. His work appears in top security conferences, such as NDSS and Black Hat Europe.